Posted on November 29, 2017. 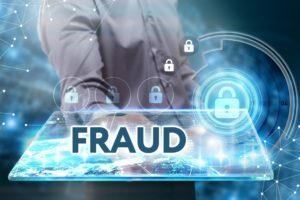 Many merchants and banks these days are already implementing some form of multi-layer fraud management, but ecommerce fraud prevention is more important now than ever before. With cyber and ecommerce attacks at an all-time high, merchants and banks must protect themselves and their customers by using a multi-layer fraud management approach. But what exactly makes a good multi-layer fraud management strategy? There are many fraud prevention options that merchants and banks can implement and turn into a multi-layer approach to mitigate their risk of fraud. Some of these include address verification service, card security codes, 3D Secure, Fraud filters, device authentication, geolocation, proxy piercing, biometric technology, fraud alerts, and more. There isn’t one fraud management strategy out there that will work for every merchant or bank, but all good multi-layer fraud management strategies have some common traits. LexisNexis Risk Solutions conducted a study in 2016 that broke down the fraud mitigation solutions that large ecommerce corporations used the most. The study concluded that card verification value was the most commonly used fraud mitigation solution, followed by transaction verification services, geolocation, and browser/malware tracking. Developing a transaction/customer database was the solution that was used the least by those who were involved in the study, however, 23 percent of them still implemented this sort of fraud detection service. Adaptability: Cyber and ecommerce threats are evolving rapidly, so the strategies and solutions merchants and banks use must adapt too. Sticking with the same solutions for too long will ultimately lead to their ineffectiveness. It is better to be proactive rather than reactive when it comes to this evolution so that you can stay ahead of threats. Scalability: As a business grows, so must its fraud management strategy. The solutions you’re using in your multi-layer fraud management strategy must be able to accommodate the growth of your business. Human Oversight: Computers play a crucial role in fraud management solutions, but they can’t be expected to do everything. This computer automation needs human oversight to ensure that they are functioning properly. So don’t wait any longer. If you’re a merchant or bank that has not yet developed a strong multi-layer fraud management strategy, follow this guide and make sure your data is protected from fraud.